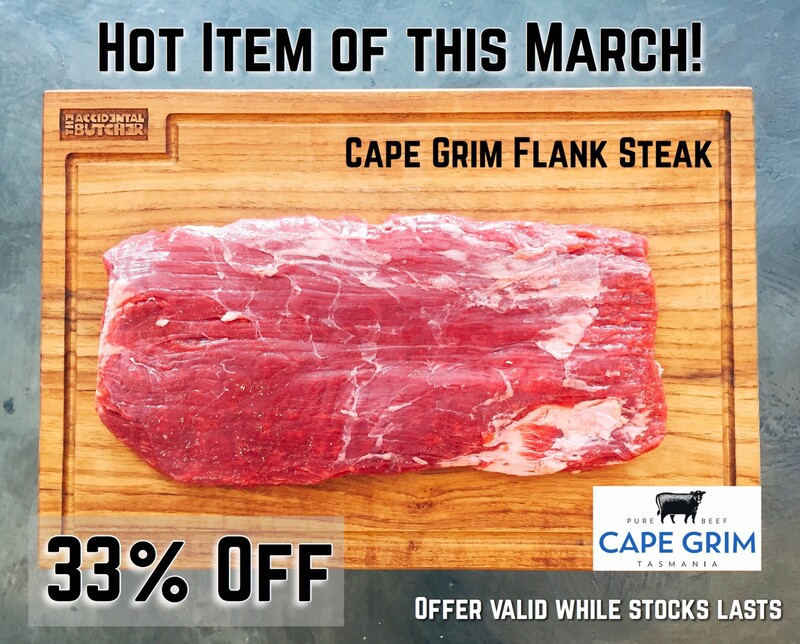 Cape Grim Beef is a premium beef and naturally raised in Tasmania, Australia. Cape Grim in the far northwest corner, shaped by wild Southern Ocean swells, abundant rainfall has the cleanest air in the world. Our proud collective of beef farmers throughout Tasmania, King and Flinders Islands, have a commitment to sustainable farming and ethical practices. They nurture the finest quality cattle, without harming the pristine environment. Raised on rich pastures with nothing else added, Cape Grim Beef is hand-selected and rigorously graded, rewarding you with pure beef flavour – made by nature. Cape Grim BBQ Chuck Steak.